This comprehensive guide on AWS Certified Solutions Architect Professional Exam Released February 2019 is created to guide you throughout your AWS CSAP exam preparation! 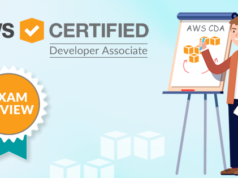 Thinking to prepare for the new AWS Certified Solutions Architect Professional exam in Feb 2019 or later? Hope you have been informed about the latest version of AWS CSAP exam i.e. AWS CSAP Exam Released February 2019. In this article, we’ll know about the new changes in the AWS Certified Solutions Architect exam released Feb 2019. Let’s start with the basic details of the newly updated AWS CSAP exam. AWS certifications are basically divided into four categories i.e. Foundational-level, Associate-level, Professional-level, and Specialty-level. AWS Certified Solutions Architect Professional exam is a professional-level exam, intended for the individuals who have been performing a Solutions Architect Professional role. 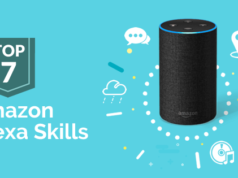 The exam demonstrates and recognizes the experience and skills of the candidate to design distributed systems and applications on the AWS platform. Like any other AWS certifications and previous AWS CSAP exam, this February 2019 released version also consists of the multiple choice and multiple answer questions. The exam is currently available in the English and Japanese, and the candidate gets 170 minutes to complete the exam. Also, the candidate needs to pay $300 to complete the exam. It is noteworthy that the exam objectives i.e. domains covered in the AWS CSAP exam has been changed and so the preparation resources will have also been changed. And it is really important to be focused on the exam objectives while doing preparation, and for this, it is required to choose the appropriate preparation material. So, here we move ahead to let you know how to do the AWS Certified Solutions Architect Professional exam preparation. If you are aspired to take the AWS CSAP exam released Feb 2019 then you must first go through the AWS CSAP exam guide given on the official certification page. This guide will give you all the required information that you need to take the exam such as exam blueprint, topics covered in each domain, exam basic information, questions format, scoring pattern, exam preparation tips etc. Getting a good knowledge of all the details will help you to prepare for the exam in a good way. Below table represents the updated blueprint, so go through it before starting your AWS CSAP exam preparation. You can compare the new and old blueprint for the AWS Certified Solutions Architect Professional exam and track the changes in the exam objectives. Here you can find the blueprint of the old AWS CSAP exam. As the exam is updated and you won’t find much study material available so it is recommended to join the AWS training for your AWS CSAP exam preparation. Amazon Web Services provides training for the exam to prepare for the various domains. These training are a few hours to a few days long and gives you the basic as well as advanced information on the various domains covered in the exam. Here are some of the AWS training that AWS suggests itself for those who are preparing for the AWS CSAP exam released in February 2019. While you are taking the AWS Training, it is recommended to do some hands-on practice with the AWS services to understand them better. For this, you can create a free AWS account where you will get 12 months free access to the AWS platform to play with the services. With this free account, you can explore 60+ AWS products and start designing on AWS using the free tier. You may also get many free trail’s offers to work on different software solutions with the free subscription. Although to access AWS products and services unlimitedly without any restriction, you need to take the premium subscription. So, log in now for the AWS Free Tier and start playing with AWS services. Although you may find a number of books on the related domains covered in the exam, whitepapers and documentation are the official resources for the AWS CSAP exam preparation. AWS itself recommends some important white papers that you should study during your AWS CSAP exam preparation. Here is the list of AWS white papers for the AWS Certified Solutions Architect Professional exam preparation. Along with these white papers, you should also go through the AWS documentation for the various AWS services but your study should not be limited to storage, compute, management tools, analytics, networking and content delivery, security, database, application integration, and identity and compliance. Amazon Web Services also recommends going through the AWS architecture center during your AWS CSAP exam preparation. Whatever be the online resources you have been preparing with, books are always important in the preparation of an exam. So, you can find some good books that cover the domains and objectives of the exam and thus could be an important resource in your AWS CSAP exam preparation. Apart from the AWS Certified Solutions Architect Official Exam Guide, here are some books that you can consider during your AWS Certified Solutions Architect Professional exam preparation. 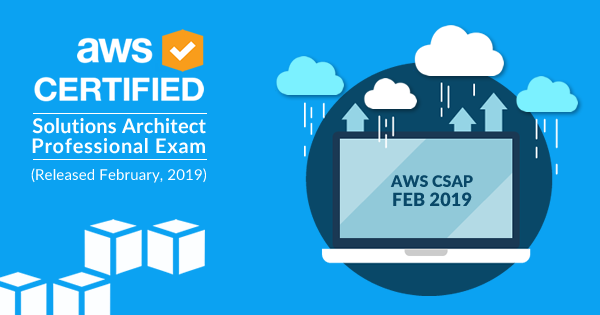 For your AWS CSAP exam preparation, you can also join some good online course but don’t forget to check if they have updated the content as per the AWS Certified Solutions Architect Professional February 2019 released version. You may choose to take instructor-led training if you have enough time or online certification training if you want to watch videos as per your timings. You should go for the practice tests when you think you are done with your preparation from various resources. The practice tests help you check your preparation level and readiness for the exam. You can also take the practice test provided by AWS itself for $40 but it may cost you high for just a few questions. So, you can take practice tests from some reputed certification training providers that charge less and provides a good number of questions to help you in your CSAP exam preparation. Check your readiness for the exam with AWS Certified Solutions Architect Professional practice tests and work to improve your weak areas. Participating in the discussion of some AWS discussion forums, groups, and communities is a good way to share your knowledge and gain something from the knowledge of others. In forums and groups, you will get in contact with the industry experts and certified professionals. You can submit your queries and get them resolved by the AWS experts. Whizlabs Forum is a good place to discuss and resolve your queries related to AWS certifications. Similarly, Facebook and LinkedIn groups and GPlus communities are also good to resolve your queries during AWS CSAP exam preparation. You can join forums, groups, and communities at any stage of your exam preparation. So, these are some steps that you should follow during your AWS Certified Solutions Architect Professional exam preparation. Here we’ve reached the end, hope this preparation guide will prove as a mentor in your CSAP exam preparation. Not to mention, a good preparation path leads you to the success and so we have brought this AWS CSAP preparation guide to help you pass the AWS Certified Solutions Architect Professional exam in one go. If you think you are done with your preparation, you can try Whizlabs AWS CSAP practice tests to check how well you are prepared for the exam. These practice tests are prepared by the team of subject matter experts and certified professionals, keeping a focus on exam domains. So, just follow this comprehensive guide for the AWS Certified Solutions Architect exam preparation and get yourself ready to pass the AWS CSAP exam. If you have any questions regarding the February 2019 released version of AWS CSAP exam, just write in the comment box, we’ll be happy to respond. Hi! The CSAP Practice Tests are updated to the new topics of the AWS exam? When the February 2019 released version of AWS CSAP exam will be update ? Hello, is the CSA Pro practice exam updated for the 2019 version of the exam? Yes.. Course update is in progress.. we have replaced around 55 questions till now.. All questions will be updated over the period of time. We are updating them on daily basis. 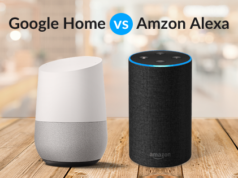 I have my exam on 8th March, is it possible to have updated material in your website? I have replied in the forum.. Please check.